Hi everyone, Drew Fonceca here, and if you're reading this it's likely that you know my amazing Dad directly or indirectly, and if you don't let me tell you a little story about him. 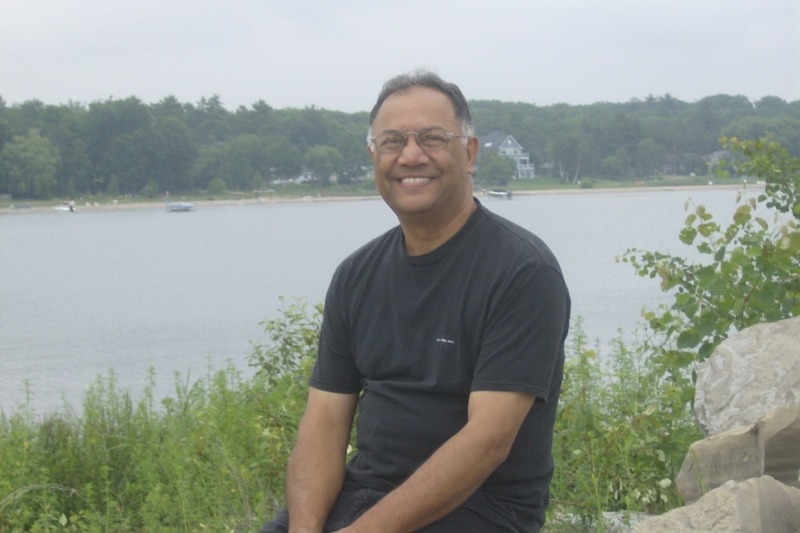 Don (our Dad) grew up among the rich and the poor in India, and decided at an early age that helping those less fortunate than himself was the way he wanted to be. He started by fixing the local kid's bicycles and making a difference in his community, and as he grew up he just kept going and has never really stopped fixing things for others since. After coming to Canada he took work as a mechanic, married the love-of-his-life (hi Mom! ), and became a family man with 4 young children to feed & clothe. Growing up in Dad's household, we learned by his example. We regularly had family friends or relatives who were down on their luck staying with us. Dad taught us to be generous, and opened our home to half of the kids in my highschool class. They would routinely come over, raid our fridge, watch t.v., and spend the nights there. When I asked Dad "why do you let all these strangers run amok in your house?" he smiled shyly and said "we're all one big family." Once us kids were all grown up it was time for Dad to retire, and so he and mom moved to Mexico where, as most of you know, he lives and works to this present day. He still serves others and helps the struggling fishermen here by fixing their boats. He also apprentices young mechanics, and even custom-built a car so that a family friend could get around town despite requiring a wheelchair. And I share all this about my Dad as the time has come for Mr. Fix-It to need some fixing of his own. 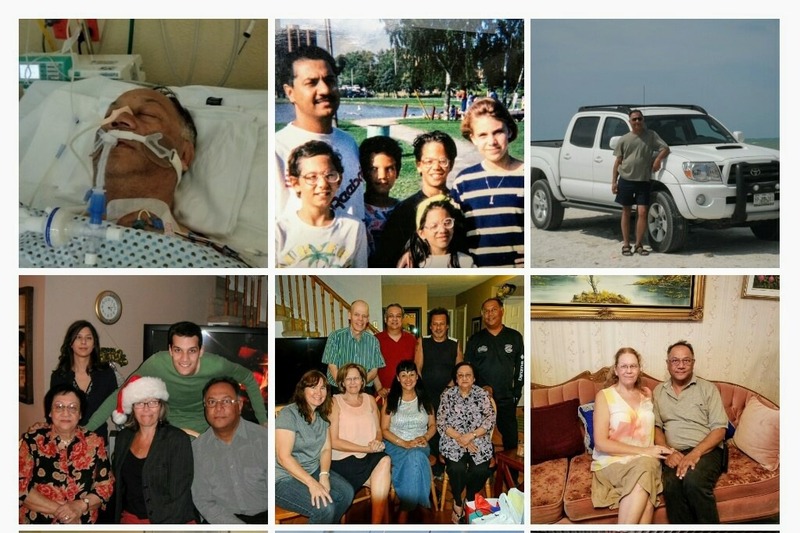 Dad suffered a severe stroke on Sept 8th and has undergone three emergency surgeries in less than a week in order to save his life and maximize brain function. He's currently in a coma and will need extensive after-care, physio, and rehab when he wakes up. The family has all come down to Mexico to be by his side, and although we are doing our best to manage the medical bills, we realize we need your help for immediate hospital costs as well as those associated with his recovery. We're reaching out to anyone who Dad or his story may have touched and appreciate any donation no matter how small. We believe that Dad's life has proven the power of family, community, and love for each other, and this latest chapter will just strengthen this message for us all. Let's get Don back on his feet and back to fixing things for others. All we can say is "wow" at what we've been able to accomplish in just a couple of days! Seeing your donations gives us hope that Dad can recover, and we can afford to make ends meet for his ongoing care and rehab. In just two days we are already at 7.5%! Sometimes a tiny glimmer of hope is all it takes to make a difference, and each one of you have made a tremendous difference to us. Thank you for donating, and thank you for passing this on. The latest news on Dad / Don is that he is in stable condition at the moment but still in intensive care and still unconscious. He continues to make progress each day and can sometimes move his hands or open his eyes a tiny bit if the doctors stimulate him with vigorously. However, until he can regain full consciousness on his own we must continue to wait patiently. Also, the doctors will perform a tracheostomy so that Dad / Don can breathe better without the use of a ventilator and to help clear up the pneumonia in his lungs. This will be a minor procedure and will overall help with his recovery. That's all for this update, thank you again, and God bless. Dad/Don is out of the hospital, with mom and others helping him to continue his recovery and take care of him. He has made significant progress in being able to speak and converse, and the therapists are working with him on strength and mobility. Just last week, the therapist had Dad stand up while they supported him, which he's done before. But then they raised his arms to the ceiling and released all their support, except holding his hands. Dad was standing, arms up, head held high! We are so thankful for all the kindness and support that has carried us to this point! At 9:30 last night, the Dr. woke Dad/Don and asked him to tackle saying his own name. Dad managed to do that, as well as saying 'good' & 'hello'! The Dr. instructed Dad to eat as much food and water as he can comfortably manage, and stay awake all day communicating, as much as possible -- with an option of tapping letters on a tablet. For someone who has had 3 brain-surgeries, this is huge progress, and Mom believes Dad will soon be ready to go home. What a thanksgiving (for us in Canada) blessing! Dad/Don was awake, cogent, and interacting with us Monday evening! Nick & Mom/Val helped him video-call the rest of us from his hospital bed. He didn't speak verbally, but gave us lots of thumbs ups, eye-brow raises, & smiles. We played him one of his fave songs, made jokes about TV shows, and wished him happy thanksgiving. Overall it was about 20 minutes of interaction between Dad and the family. The doctors removed the oxygen tube already, and are looking to remove the tracheostomy as well pretty soon, as Dad keeps progressing. These are all positive signs to celebrate! Thank you all again for your continued love and support, and wishing you all a happy Thanksgiving. Love, from the whole family! UPDATE: Last night, Dad/Don was what we would describe as "very awake" for 20 full minutes! We set up a system where dad could indicate "yes" and "no" through basic hand gestures. Dad was able to conduct a brief conversation this way! We're so happy :) Dad indicated he felt some pain, so the nurse adjusted his position to alleviate it, then he went back to sleep. We're so grateful for everyone of you who've shown love, care, and support-- it's helping us give Dad extra care, and we feel blessed to share positive progress.